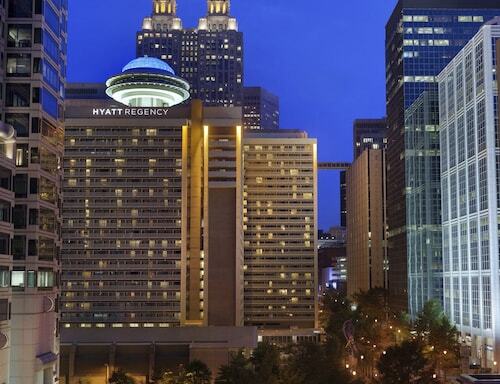 Hyatt Regency Atlanta Downtown is located on Peachtree Street, a 15-minute walk from Georgia World Congress Center. The hotel is connected to The Mall at Peachtree Center, and is a 10-minute walk from World of Coca-Cola. Hartsfield-Jackson Atlanta International Airport is a 20-minute drive. 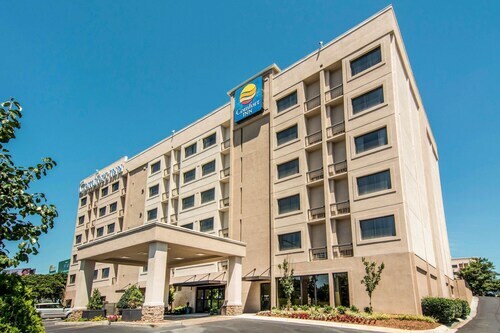 Situated in Atlanta, this hotel is within 1 mi (2 km) of Atlanta Cyclorama & Civil War Museum, Zoo Atlanta, and Georgia State Stadium. Underground Atlanta and Georgia State University are also within 2 mi (3 km). Garnett Station is 30 minutes by foot. Situated in Atlanta, this vacation home is within 1 mi (2 km) of Atlanta Cyclorama & Civil War Museum, Zoo Atlanta, and Georgia State Stadium. Georgia State University and Underground Atlanta are also within 2 mi (3 km). Georgia State Station is 27 minutes by foot. Situated in Atlanta, this vacation home is within 1 mi (2 km) of Atlanta Cyclorama & Civil War Museum, Zoo Atlanta, and Georgia State Stadium. Georgia State University and Underground Atlanta are also within 2 mi (3 km). Georgia State Station is 25 minutes by foot. Situated in Atlanta, this vacation home is within 1 mi (2 km) of Atlanta Cyclorama & Civil War Museum, Zoo Atlanta, and Georgia State Stadium. Georgia State University and Underground Atlanta are also within 2 mi (3 km). Georgia State Station is 30 minutes by foot. Situated in Atlanta, this vacation home is within 1 mi (2 km) of Atlanta Cyclorama & Civil War Museum, Zoo Atlanta, and Georgia State Stadium. Georgia State University and Underground Atlanta are also within 2 mi (3 km). Georgia State Station is 26 minutes by foot. Located in the heart of Atlanta, this hotel is within 1 mi (2 km) of Atlanta Cyclorama & Civil War Museum, Zoo Atlanta, and Georgia State Stadium. Underground Atlanta and Georgia State University are also within 2 mi (3 km). Garnett Station is 28 minutes by foot and Georgia State Station is 29 minutes. This Atlanta hotel is less than a mile from Turner Field and within 2 miles of the Georgia State Capitol. It is also near the CNN Center, Georgia Aquarium, and Zoo Atlanta. Situated in Atlanta, this apartment building is within 1 mi (2 km) of Georgia State Stadium and Zoo Atlanta. Georgia State University and Mercedes-Benz Stadium are also within 3 mi (5 km). Situated in Atlanta, this property is within 1 mi (2 km) of Atlanta Cyclorama & Civil War Museum, Zoo Atlanta, and Georgia State Stadium. Underground Atlanta and Georgia State University are also within 2 mi (3 km). Garnett Station is 28 minutes by foot and Georgia State Station is 30 minutes. Located in the heart of Atlanta, this guesthouse is within 1 mi (2 km) of Atlanta Cyclorama & Civil War Museum, Zoo Atlanta, and Georgia State Stadium. Georgia State University and Underground Atlanta are also within 2 mi (3 km). Situated in Atlanta, this vacation home is within 1 mi (2 km) of Atlanta Cyclorama & Civil War Museum, Zoo Atlanta, and Georgia State Stadium. Georgia State University and Underground Atlanta are also within 2 mi (3 km). Georgia State Station is 22 minutes by foot and Garnett Station is 27 minutes. If you enjoy bright lights and large crowds, you'll be right in your element at Turner Field! You'll find it along with many other attractions in Atlanta, the buzzing state capital. 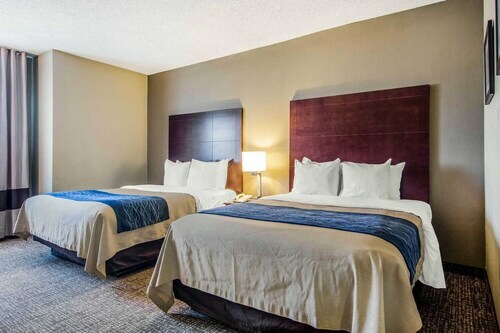 With around 21 accommodations only a short distance away from Turner Field, it'll be a breeze to find a room that's just right. 2 miles (3 kilometers) away, you'll find The Ritz-Carlton, Atlanta. Two other places to look into are the Glenn Hotel, Autograph Collection, 2 miles (3 kilometers) away, and the Embassy Suites Atlanta at Centennial Olympic Park, 2 miles (3 kilometers) away. If you're searching for cheap hotels, you'll find a limited number available. You can find the Castleberry Inn & Suites, just 1 mile (2 kilometers) away, and the Comfort Inn Atlanta Downtown South is only 0.2 miles (0.3 kilometers) away. You've earned a night or two at one of the upmarket hotels in the surrounding area. The Four Seasons Hotel Atlanta and Stonehurst Place Bed & Breakfast are ideal choices that you should consider. Whether you're a tea connoisseur or a coffee addict, you're going to need something to keep your energy levels up. An easy stroll from Turner Field, Cafe Jas offers a delicious range of drinks and snacks. Another celebrated local establishment is Scales 925, Atlanta, Ga, which offers its guests a wide selection of dishes and a convenient location. Of course, there is no better way to end a long day of traveling than with a drink or two. Bullpen Rib House, also a short walk away, is where you'll want to be. Sports fans of all ages will enjoy Ivan Allen Jr. Braves Museum & Hall of Fame. You can relive former glories and celebrate the legends. Explore Ten Park Place Building, a frequently visited historical site, and see why it's treasured by locals and tourists alike. If you're eager to stick with your fitness goals while away from home, head over to Dunbar Recreation Center. Don't let your fitness routine suffer because you're relaxing on vacation! Make use of Dunbar Neighborhood Center, a local recreation center. Atlanta Cyclorama & Civil War Museum is a popular local spot where you can learn about the military and its fascinating history. Why not board the train when you're visiting Turner Field? The closest station, Marta Station, is 1 mile (2 kilometers) away. How Much is a Hotel Room in Georgia State Stadium? Hotels in Georgia State Stadium start at $55 per night. Prices and availability subject to change. Additional terms may apply. Renovated With you in Mind! Centrally Located and Convenient to Everything Atl! Ideally Located Atlanta Home -visit Georgia State!